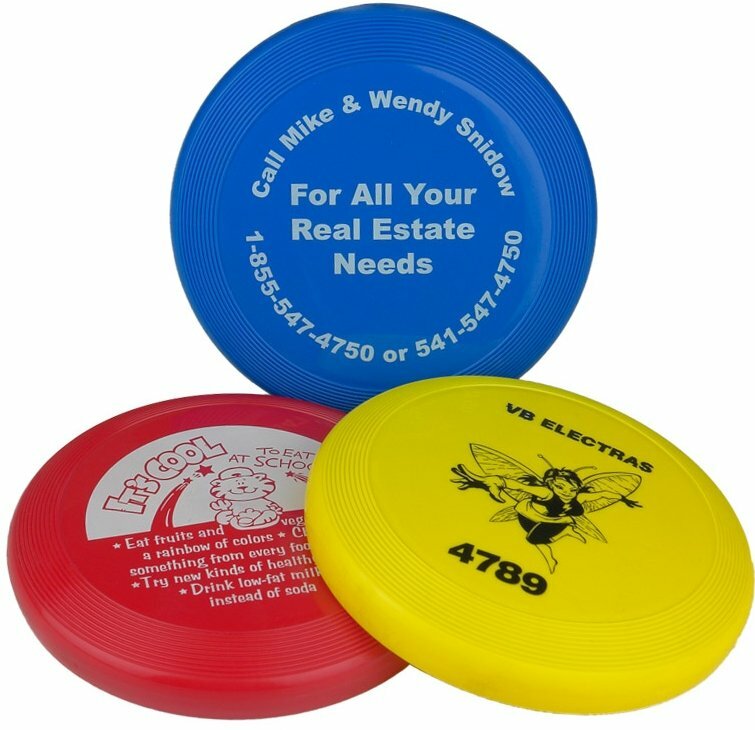 Get your logo printed - Five Inch Mini Frisbees as promotional items. Durable long lasting Polypropylene Frisbees. Choice Six Colors. Overall size of the Promotional Frisbee is 5" Dia. x 3/4" Deep. Price includes a one color imprint one side area 3 1/4" Dia.